She wrote a few letters. And she got her uniform out of the wardrobe and inspected it critically. The uniforms that had been made for them had a special, additional quality that could only be called… girlie. They had more braid, they were better tailored, and they had a long skirt with a bum roll rather than trousers. The shakos had plumes, too. Her tunic had sergeant’s stripes. It had been a joke. A sergeant of women. The world had been turned upside down, after all. anti patriotic, anti monarchist and very left wing. I don't think that the author should be attempting to indoctrinate the youth of today with such a clearly biased, left wing book. One can only hope to buy a copy for every member of the youth of today: it's a political, satirical and quite stern book – very funny, but when it’s not being funny it’s sad, and it is indeed a brilliant anti-war document. a class of non-producers who defend the nation by devouring everything likely to tempt an enemy to invade. Pratchett’s army is, on the whole, something like that. You can see echoes of the First World War, the Crimean War, and recent events in the Middle East, all mixed in with the usual Pratchett parade of trolls, vampires and just plain funny people. And, as you would expect, every cliché of war stories ever is mocked: the earthy RSM, the foolish officers, the women camp followers. Polly Oliver (yes, just like the song) dresses up as a soldier to go and search for her brother, and the book tells what becomes of her, with an ending as touching and memorable as any book. 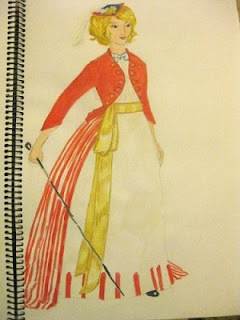 By a happy chance, I finished reading this book around the same time that the amazing Leimomi Oakes of the Dreamstress website completed a five-year project to recreate Polly Oliver’s uniform, with the gorgeous results you see above. 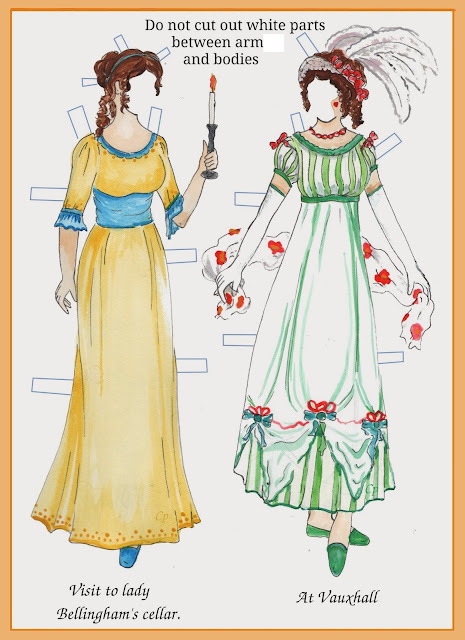 She very kindly allowed me to use her pictures – the lower one is her original sketch for the design – and it’s worth looking at her entries on the costume, and at her site in general with its stunning projects. 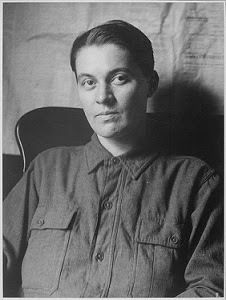 Below is Hazel Douglas who dressed as a soldier to follow her husband to the First World War. She was caught and sent home, and died while he was still abroad. With thanks to AJ for the recommendation. Terry Pratchett books have featured on the blog before here and here. Moira - What an interesting choice! Politics aside, taking a look at the military, women's roles and politics sounds fascinating. And if Pratchett manages to also integrate wit too, so much the better. And I do love the sketch and the final product. How lovely. Isn't that costume fabulous? The Dreamstress is incredibly talented, and I was very lucky that she finished this project just at the right time for my entry! I've never tried Pratchett, but perhaps ought to - is there 1 you could recommend?